Hip Industries' Peregrine ($110) is great alternative to lugging a briefcase. Boasting an uncluttered, yet stylish design, it includes functional details both inside and out. 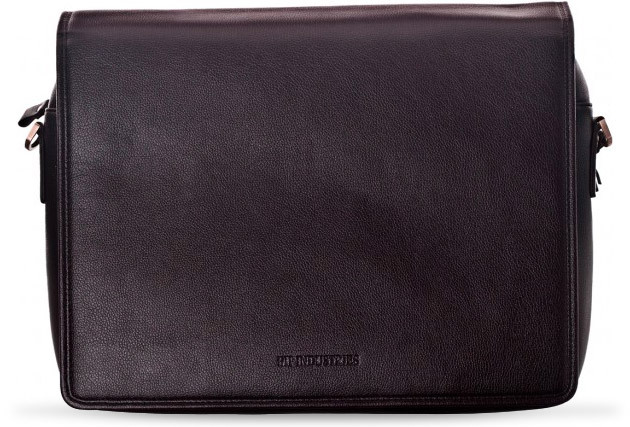 The Peregrine offers a spacious compartment, padded lsleeve for netbooks, tablets or laptops up to 12-inches, multiple pockets, convenient back slip pocket, magnetic flap closure and an adjustable shoulder strap. To celebrate the 4th of July, we're giving away a brand new brown Peregrine to give away. For a chance to win this stylish messenger, simply sign up for GearCulture Essentials. We'll choose a winner on Friday, July 8 (U.S. Residents only). In case you're already on the list, just shoot us an email with your email address. Good luck! Contest is closed. Congratulations to Michael L.